January 2018 – Planet Geek! I was excited to hear that Neil deGrasse Tyson’s Cosmos has been renewed and will be airing new episodes next year. When I was in high school, I was absolutely transformed by Carl Sagan’s original series. I cannot understate the impact it had on my worldview and personal development as a critical thinker and supporter of science. At the end of season two of Dr. Tyson’s series, he closed with, well, okay a slightly preachy, but still impactful commentary that included Dr. Sagan’s “Pale Blue Dot” quote. This was given during a lecture in Cornell in 1994. 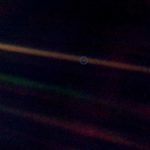 As Voyager 1 completed it’s mission and was getting ready to leave the solar system forever, Dr Sagan convinced the JPL to turn the Voyager camera around and take one last picture of earth from a distance of 3.7 billion miles. I hadn’t heard the entire piece in quite some time, and it still brought me to tears. That’s here. That’s home. That’s us. On it, everyone you ever heard of, every human being who ever lived, lived out their lives. The aggregate of all our joys and sufferings, thousands of confident religions, ideologies and economic doctrines, every hunter and forager, every hero and coward, every creator and destroyer of civilizations, every king and peasant, every young couple in love, every hopeful child, every mother and father, every inventor and explorer, every teacher of morals, every corrupt politician, every superstar, every supreme leader, every saint and sinner in the history of our species, lived there on a mote of dust, suspended in a sunbeam. Our planet is a lonely speck in the great enveloping cosmic dark. In our obscurity – in all this vastness – there is no hint that help will come from elsewhere to save us from ourselves. It is up to us. It’s been said that astronomy is a humbling, and I might add, a character-building experience. 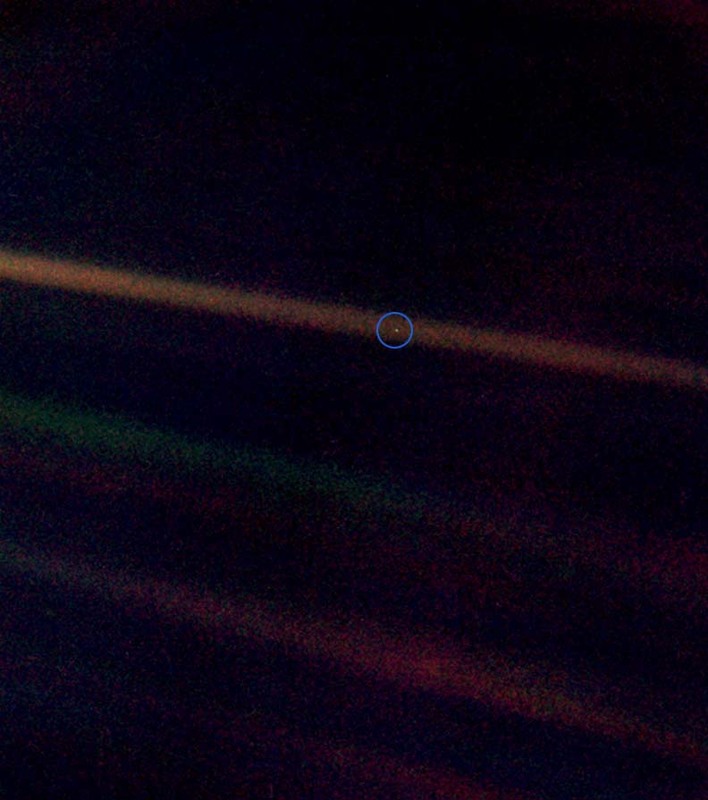 To my mind, there is perhaps no better demonstration of the folly of human conceits than this distant image of our tiny world. To me, it underscores our responsibility to deal more kindly and compassionately with one another and to preserve and cherish that pale blue dot, the only home we’ve ever known. This, by itself, would have been a wonderful end to the series. But Dr. Tyson continued and presented his Five Rules of Science. In so many ways, these points build on Dr Sagan’s deep philosophical thoughts, and add concrete rules and guidelines. These are the foundations we should build our debates, our discussions, our ideas on…. Think for yourself. Question yourself. Don’t believe anything just because you want to. Believing something doesn’t make it so. Test ideas by the evidence gained from observation and experiment. If a favorite idea fails a well-designed test, it’s wrong. Get over it. Follow the evidence wherever it leads. If you have no evidence, reserve judgment. There will, naturally, people who pick and choose from this list to simply further their personal agenda. These things cannot be taken in isolation. Either you accept, embrace, and follow them all, or you’re doing it wrong. Humility must go hand in hand with discovery. No one has all the answers. Be a searcher. Learn, grow, and explore.